Find the perfect combination of comfort and value at the Hampton Inn & Suites Lino Lakes hotel. Located in the community of Lino Lakes, the hotel is close to the Medtronic Headquarters and Rice Creek Chain of Lakes Regional Park Reserve with 13 lakes and wetlands. Play a round of golf in the reserve on the challenging Chomonix Golf Course, or head to Running Aces Harness Park for a game of cards or to watch the horse racing. The Blaine Sports Center, one of the biggest sporting facilities in the world, is just a few miles from our hotel in Lino Lakes, MN. With such a picturesque location, it’s hard to believe that the twin cities of Minneapolis and St. Paul are just 20 miles away. 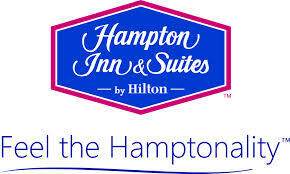 Our promise to you includes a clean and comfortable guest room or suite with free internet access, workspace, handy lap desk and a clean and fresh Hampton bed®. Each guest room has a microwave and refrigerator. Pick up drinks and snacks from our 24-hour Suite Shop to enjoy in the comfort of your own space. Start the day with Hampton’s free hot breakfast, or if you’re rushing, grab a free, healthy Hampton On The Run® Breakfast Bag from Monday through Friday. Host a meeting in our meeting room, get some last-minute work done at the business center, and take some time to relax at the indoor pool or in the fitness center.